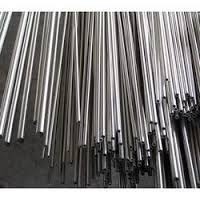 Leading Exporter of alloy 20 (uns n08020) pipes, alloy 20 (uns n08020) tubing, alloy 20 (uns n08020) round bar, alloy 20 (uns n08020) flanges, alloy 20 (uns n08020) fastners and alloy 20 (uns n08020) tubes from Mumbai. We offers a full range of Alloy 20 Pipe, Valves, Fittings & Flanges that is prominent in the process industry. Our support of the power & process industry is reflected in the specialty grades of material that we inventory to support outage & maintenance requirements. Alloy 20 was originally developed for use in sulfuric acid service found in facilities such as pulp and paper mills. With good general corrosion properties, Alloy 20 usage has expanded in chemical, petrochemical and power generation plants. Alloy 20 provides excellent resistance to chloride stress corrosion cracking. Post weld heat treatment may not be required for use in some corrosive environments due to resistance to intergranular corrosion in the as-welded condition. We offers a full range of Alloy 20 Pipe, Tube, Fittings , Flanges, Fastners & Round Bar that is prominent in the process industry. Our support of the power & process industry is reflected in the specialty grades of material that we inventory to support outage & maintenance requirements. Alloy 20 hex bolts, nuts, and studs to your custom specifications, and we guarantee to meet your delivery schedule. Alloy 20 is an iron-base, austenitic alloy with excellent corrosion resistance to a number of different media and proves to be useful in a number of applications such as flue-gas desulfurization, chemical processing, food processing and storage as well as pharmaceutical applications to name a few. Application of the alloy could result in real cost savings when carefully compared to higher-cost alloys to determine if the necessary resistance is obtained in the chosen media. Applications are limited to a maximum temperature of 1000 DegreeF per ASME. Alloy 20 was designed specifically to withstand sulfuric acid. Its nickel, chromium, molybdenum and copper levels all provide excellent general corrosion resistance. Restricted carbon plus columbium stabilization permits welded fabrications to be used in corrosive environments, normally without post-weld heat treatment. At 33% nickel, Alloy 20 has practical immunity to chloride stress corrosion cracking. 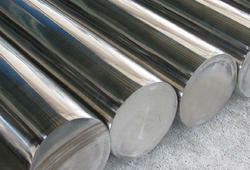 This alloy is often chosen to solve SCC problems, which may occur with 316L stainless. We offers a full range of Alloy® 20 Pipe, Valves, Fittings & Flanges that is prominent in the process industry. Our support of the power & process industry is reflected in the specialty grades of material that we inventory to support outage & maintenance requirements.